Sign up for the Miele quarterly e-newsletter which brings you the latest news, events and promotion offers. A Miele steam oven is a real all-rounder. Making individual side dishes or a complete meal - the steam oven can cope with all this and more. Now at a special price of $1,688 for a limited time only. Discover the best of both worlds with Miele built-in oven and free-standing steam oven. Purchase the H 2265 BP and DG 6010 at a special price of S$4,187 (U.P. $4,787). Celebrate 120 years of innovating and engineering passion. Throughout we have been tough on our household appliances, quality testing every single component to its limit. Not just thoroughly checking their quality and longevity, but also their performance and user friendliness. This results in appliances that are up to any challenge in your home – not just now, but for years to come. With class-A cleaning performance and patented 3D cutlery tray+, Miele Dishwashers keep your glasses and crockery in tip-top shape during washing. Enjoy great savings and exclusive rewards on our Freestanding Dishwasher promotions today! Take advantage of the free-of-charge introductory offer or the stock-piling offer at a special set price of $90 (UP $105). Entrust your treasured garments to the Miele laundry machines for excellent wash results. Enjoy 6 month's supply of UltraPhase detergent when you purchase washing machine with TwinDos system. Explore Miele washing quality and efficiency with our range of washing machines. Enjoy exclusive laundry care rewards and attractive promotions for a limited time only! Double the joy with greater savings and exclusive rewards when you purchase a Miele washing machine together with a Miele tumble dryer. Let Miele take care of your laundry chores from the start to the end. With our new trade-in promotion, you will enjoy complimentary Laundry Care gifts, worth $144 when you replace your tumble dryer with any of Miele's tumble dryer. Refresh your laundry today! One free packet of UltraWhite / half a year's worth of detergent with a 30% discount! When you purchase your new washing machine, you will have receive a voucher for either one free packet of UltraWhite or half a year's worth of detergent with 30% discount! When you purchase your new W1 washing machine / your WT1 washer-dryer with TwinDos, receive a voucher for a free set of UltraPhase 1 and 2. 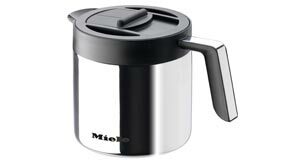 Enjoy a free Miele insulated coffee jug when you purchased a new CM5 coffee machine. With better view, comes better cleaning. With its reliable navigation system, the Scout robot vacuum cleaner cleans room thoroughly, even in corners. Now at a special price of $799 (U.P. $899). The Miele Blizzard CX1 bagless vacuum cleaner keeps your home incredibly clean through the innovative three-stage filtration system. Enjoy savings when you purchase selected Blizzard CX1 vacuum cleaner and receive complimentary gifts worth up to $195! 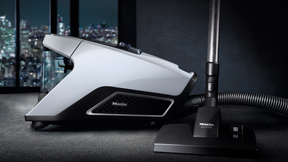 A full range of vacuum cleaners designed to provide superior clenaing performance. For a limited time only, receive a complimentary Hyclean dust bags when you purchase any canister vacuum cleaner. Our accessories & consumables compliment the household appliances with perfection and inspire you with best quality and performance – not only now, but for years to come. Celebrate Miele 120th Anniversary with a series of Online Special Deals on Accessories and Consumables. Enjoy a special price of $120 on deals from Kitchen Care, to Laundry Care and Floor Care. Miele offers a comprehensive solution for your kitchen needs. Enjoy superb value with our attractive new three-tier offer! Celebrate Miele's 120th Anniversary with us! Enjoy a complimentary gift with a minimum spend across all appliances.